The 8th grade Collinsville Cardinal Baseball team holds the title of the 2015 Champions of the Oologah Invitational Jr. High Tournament . The boys outscored their opponents 30-5 over the 3 day tournament. Congrats boys! 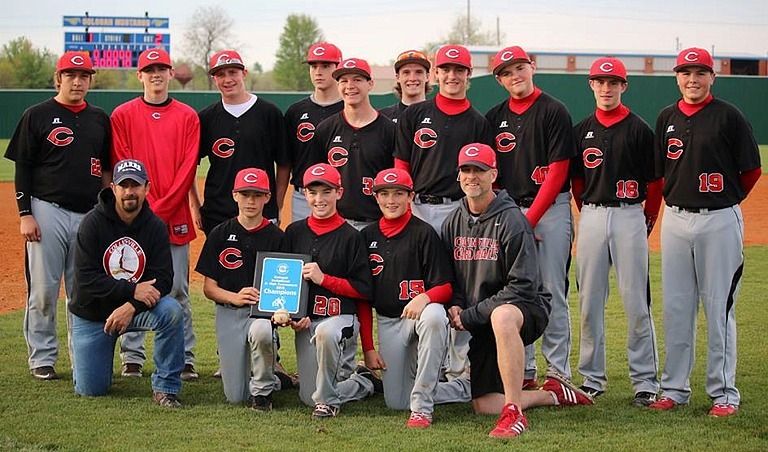 -- Robin Knight 4/12/2015 The 8th grade Cardinals baseball team won the Oologah Junior High invitational baseball tournament Saturday defeating Salina in the championship game 4-1. 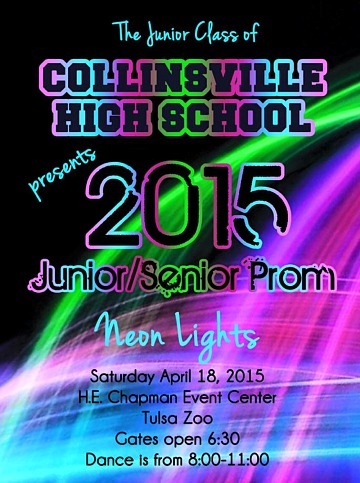 They also beat Hilldale on Thursday 16-1 & Verdigris 10-3 on Friday. The Cardinal Girls Golf Team continues to improve with every tournament they play. They won the Grove tournament held at Patricia Island with a 359. Nina Lee shot an amazing 69 (3 under par) and finished first by 12 strokes. Madison O'Dell placed 5th with an 88 and Gail Young placed 8th with a 96. Congrats to them! It's great to be a Cardinal! The varsity baseball team competed in the 4 State Baseball Festival in Claremore over the weekend. Friday night they went 10 innings and came out on top 3-2 over Sprindale, Arkansas. Saturday morning they fell behind 6-0 after three innings but came back to beat Springfield Glendall HS of Springfield, Mo. 8-6. Team really did a great job and Tony a heck of a coaching job!!!!!! In the Saturday game Breyden Varner had 2 home runs and Freshman Alex Austin had a home run as well. With a team starting a Freshman, 5 Sophomores, a Junior and only 2 Seniors, Cville has a lot to look forward to--not only this year bur for a few years to come. Chelsey Barton 1st -- Girls Pole Vault 10'6"
* The Mixed Choir earned Superior ratings in performance and Sight reading!